More specific plans include replacing plastic bags protecting appliances and TVs with bags based on recycled and bioplastic materials, and switching to only using paper fiber materials certified by select forestry sustainability groups by 2020. When it comes to the electronics we most care about — like phones, tablets, and wearables — Samsung plans on swapping the typical plastic trays for pulp molds, and accessory bags will use new but undefined "eco-friendly" materials. The company's chargers will also be matte in the future, eliminating the plastic film required to protect them during transport. A new product packaging "task force" was also assembled for further development in new designs and the required logistics behind them. The company aims to have used 50 thousand tons of recycled plastic and have collected a cumulative 7.5 million tons of "discarded products" by 2030. This change may have the unintended side-effect of increased prices, though. Samsung's Gyeong-bin Jeon, head of the company's Global Customer Satisfaction Center (whatever that is), was quoted in the press release as saying: "We are committed to recycling resources and minimizing pollution coming from our products. We will adopt more environmentally sustainable materials even if it means an increase in cost." While I doubt the move from plastic to paper trays will be responsible for any bump in the Galaxy S10's price over the S9, if costs increase, they could be passed on to the customer. It's a small price to pay to offset the impact of our insatiable hunger for luxury electronics goods, though. As one of the largest handset manufacturers by shipping volume (and one of the biggest electronics conglomerates in the world) Samsung's newfound mindfulness will likely make a significant impact on how many of our limited resources are wasted on packaging. 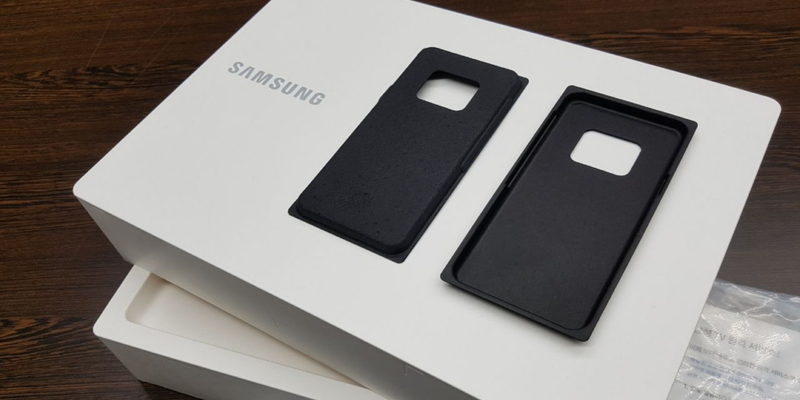 Under the company’s sustainability policy, Samsung plans to minimize and replace packaging with environmentally sustainable materials Samsung Electronics announced today that the company will start taking steps this year to replace plastic packaging materials with paper and other environmentally sustainable elements.